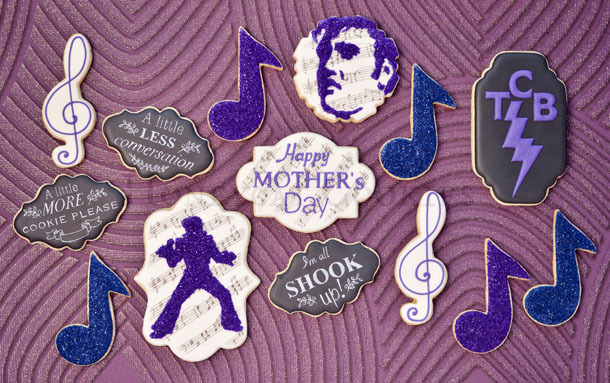 Honeycat Cookies: Elvis on a Biscuit with Really Edible, Really Glittery Glitter! 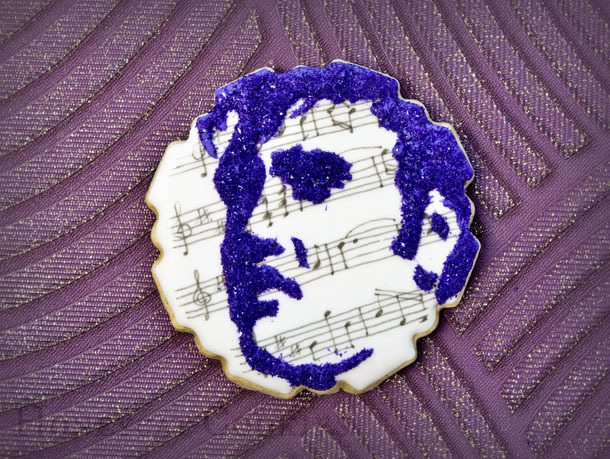 Elvis on a Biscuit with Really Edible, Really Glittery Glitter! 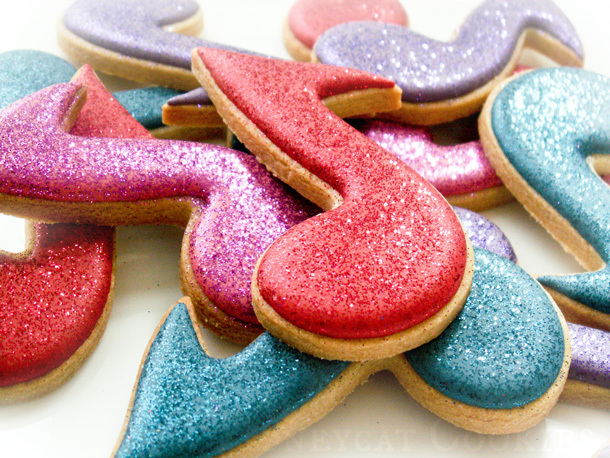 I absolutely love glitter on cookies. When I first started out, disco dust (and glitters like it, such as this) was still being sold as 'edible' and I happily used it (and ate it) in large quantities. Then The Authorities (in the UK) realised that it was, strictly speaking, not an edible product, as it is not digested and has no nutritional value, and therefore couldn't be sold as such. So all the wonderful, glittery products got relisted as 'non-toxic', suitable to be used near food but not in it. Since I'm not about to ask customers to scrape their cookies before eating them, I've pretty much given up on it, except for personal use. Since then, there have been a number of products come onto the market sold as 'edible glitter'. Most of my local supermarkets carry something of the sort - mostly ground rice mixed with lustre dust, like this from Waitrose/Ocado. 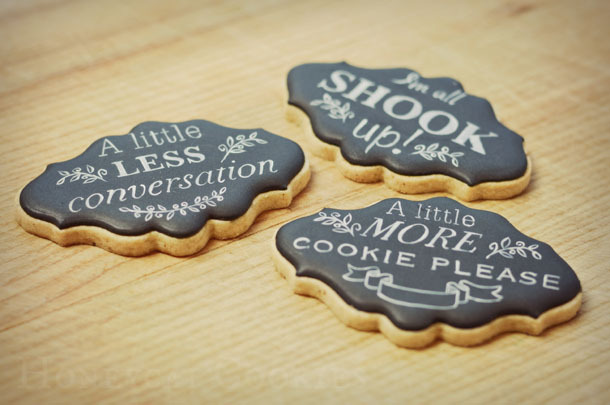 Sprinkle-able, but definitely not glitter. These musical notes were made a long, long time ago, with the old stuff. 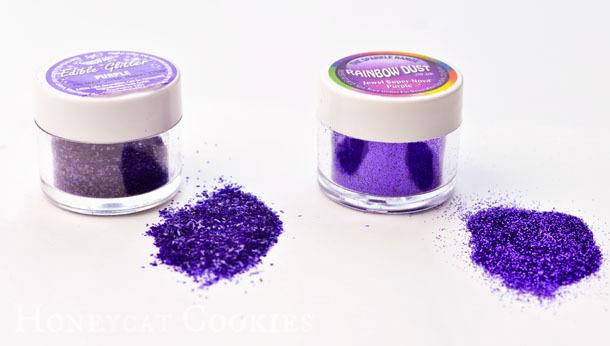 But a few months ago I noticed a new Rainbow Dust 'edible glitter' product in Hobbycraft, in a whole range of colours. 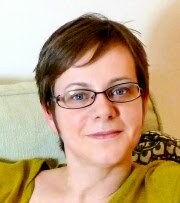 So I bought the black, purple and pale green to see what they're like. 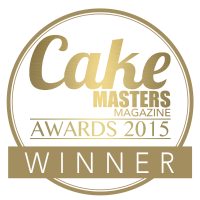 And I was pleasantly surprised! 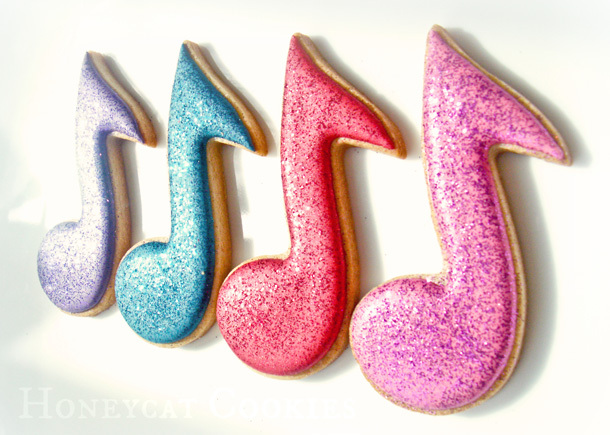 I drew the musical notation by hand with an edible ink pen, just as with these Valentine's Day cookies.